Women In Fantasy Hockey: Let's "Cap" This One! Women In Fantasy Hockey: Let’s “Cap” This One! As we move onward, here is the fourth installment in our series of Women In Fantasy Hockey. Today or interview is with Angela Lewis, who does some excellent freelance writing for The Sports Forecaster Magazine. Angela has a different angle with fantasy hockey so we asked her a half dozen very simple questions. It is often interesting when writers get into this because their answers are either long or they are simply blunt and to the point. Here are her answers. 1. What was the hardest thing you had to learn about fantasy hockey? The most efficient ways to evaluate players and their talent has for sure been a learning experience. I’m still learning, and I think everyone always continues to learn how to analyze it. 2. What was the most satisfying point in your fantasy hockey experience this year? 3. What was the most valuable lesson learned this year? I’ve started to include some advanced stats and other forms of empirical evidence in my evaluation of players. I still base a lot of my evaluation on what I’ve gathered from pure observation, but I’m certainly more open to adding “fancy stats” to my analysis. Example: Alex Semin. 4. Is there something to the fact that a women’s intuition serves a woman well in competitive situations? 5. Do you see yourself joining any more fantasy leagues next year? That is funny considering my time is quite limited. If I make the guides for folks, though, that fulfills my need to join a league. 6. Lastly, what would you say to a female interested in joining a fantasy hockey league? 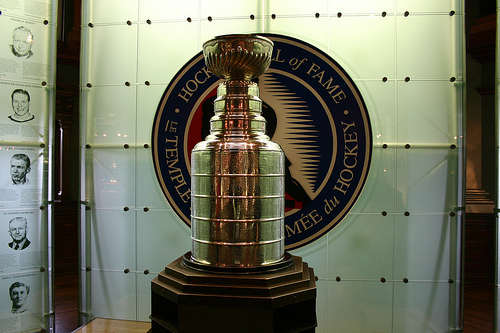 Next week on the series, we will be profiling a first time fantasy hockey entrant who is now a champion. What is the significance of this? That answer is plenty. As we continue to reach out, the goal is to find more and more Women In Fantasy Hockey that not only love the fantasy game and game but also willing to talk about it. If there are any women that our readers would like to be interviewed, we would like to hear from you. Thanks again for reading.